You have probably noticed that many of our RUVIVAL materials, such as the Examples of Agroforestry Systems, the Check Dams Handbook and even our first RUVIVAL Book, have close ties to Arba Minch in Ethiopia. For this we have to thank our diligent project partners from the Slope Farming Project! Through academic exchange and collaboration we ensure that their on-site knowledge and experience can be transferred worldwide. What exactly is the Slope Farming Project? Slope Farming is a research project aimed at developing a holistic land use management system for the productive restoration, conservation and improvement of land and water resources and the overall ecosystem. It primarily tackles issues of the degradation of soils and ecosystems, loss of biodiversity and shrinking forest areas, drought events and shortage of water, but also flooding and non-adapted agricultural techniques. This all leads to declining agricultural yields in quantity and quality for local farmers in Sub-Saharan Africa. The system approach is constantly being evaluated and further developed with the aim for upscaling. The holistic approach of Slope Farming is developed within the interdisciplinary field of restoration engineering. A diverse set of measures and approaches from the fields of water and soil management, waste and wastewater management, organic farming, permaculture, energy systems and housing systems. All these approaches are all integrated in one multi-layered system. The aim is to activate and utilise synergies and co-operative properties, as well as to close the loops of nutrient cycles. Ideas for small scale business, innovative value chains and marketing are simultaneously developed, as well as new participatory systems, for the local creation of value. With local resources and especially local labor, local value can be created, benefiting both, the environment and the livelihood of people in rural areas. This is essential for the overall sustainable development of rural areas in the long term. 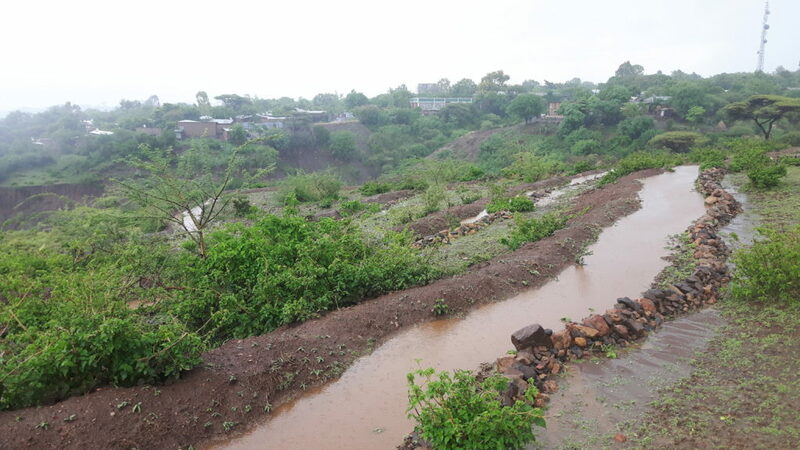 The Slope Farming Project was started 2015 in Arba Minch, Ethiopia by the Hamburg University of Technology (TUHH), in cooperation with the Arba Minch Town Municipality (AMTM), Arba Minch University (AMU) and the Catholic Church Arba Minch (CCAM). 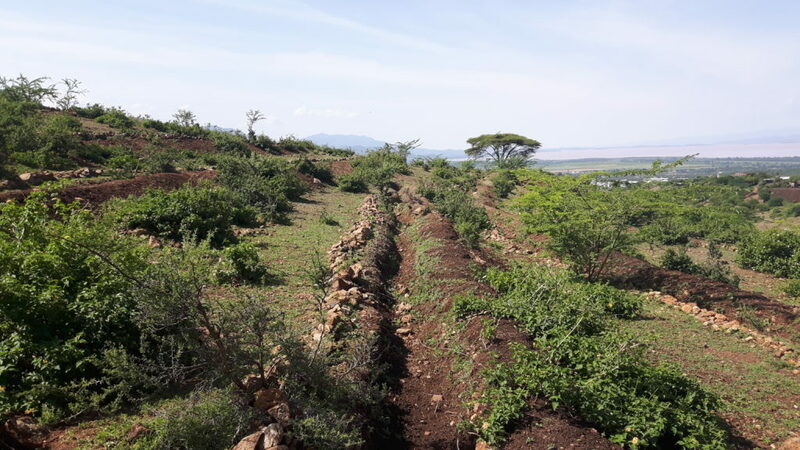 Arba Minch, with its tremendous development in recent years as part of the growing economy of Ethiopia, can become a role model for adapted, sustainable, very productive land use management systems of the 21st century. Such systems can nourish an ever increasing number of world inhabitants, while not destroying but building up fertile soil. ‘Maybe for the first time, a holistic system in this depth is put together in all its complexity in Ethiopia. We aim to create a feasible, very productive approach, able to restore soil while producing high quality food and protecting the climate. Therefore, we work practically on the project site in order to establish a role model, which can be experienced. Not by textbook, paper or pictures, but by getting our hands on the ground. By working in the field in Arba Minch, we have direct input by locals and can test our concept with the people that matter most – local small-scale subsistence farmers in rural or semi-rural areas.